From Trump’s web site, we find that he… mostly talks a good 2A game. Except more people added to the prohibited person list. And enforcing current firearms laws… like bans (You do remember those are on the books in some places, right, Trump?). But that wasn’t always so: “I generally oppose gun control, but I support the ban on assault weapons and I support a slightly longer waiting period to purchase a gun. 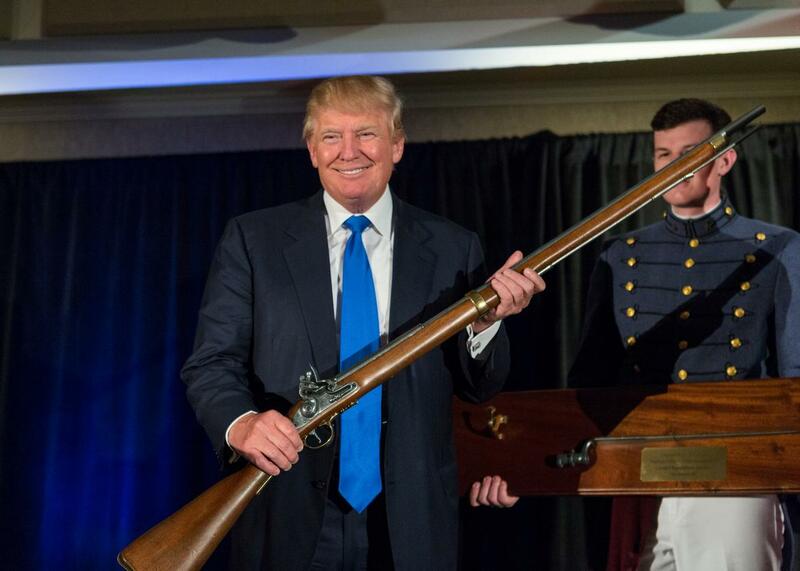 With today’s Internet technology we should be able to tell within 72-hours if a potential gun owner has a record.” (The America We Deserve, by Donald Trump, p.102 , Jul 2, 2000). Now maybe Trump has had a Zumbo-style revelation, and realized he was wrong in the past. Or maybe it’s just politically conventient to pretend, and he really does still like gun-free zones full of helpless targets. He did as recently as last year. Trump talks the RKBA talk that Rep voters tend to prefer, but he doesn’t walk the walk. If his “conversion” was serious, I’d like to see him prove it. And this doesn’t cut it.